The pictures are from her new exhibition “Hypocrisy”. 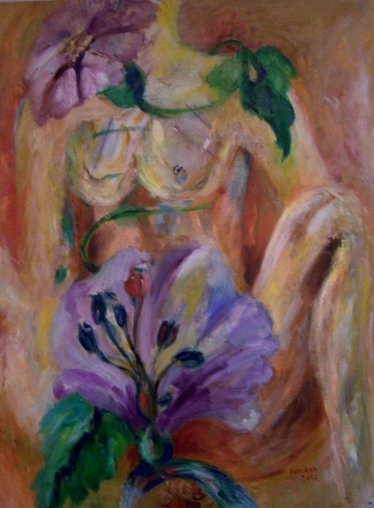 “The pharmacological plants in my paintings indicate the social scars. Can they serve as a REMEDY? Who knows...hope at least. The pure and the clean anatomy of the plants intersect the pathological anatomy of the society on the canvas, in order to be medicine for them. The plants underline the honesty that we miss, and face us with the reality which does not “exist” when not known and not seen. They have been MEDICINE for the social hypocrisy. Ayten Durukan wurde 1949 in dem Ort Antalya in der Türkei geboren. Von 1966 bis 1971 studierte sie an pharmakologischen Fakultät der der Marmara Universität in Istanbul. Bis zu ihrer Pensionierung 1999 arbeitete sie als Pharmakologin. Seit 1999 beschäftigt sie sich mit der Malerei in privatem Unterricht und Arbeiten im eigenen Studio. Ayten Durukan hat ihre Werke bereits in mehrere Gruppenausstellungen gezeigt, von denen drei Kataloge gedruckt wurden. Augenblicklich bestreitet an eine Soloausstellung in Antalya mit dem Titel: “Anatomie der Gesellschaft, ausgedrückt durch pharmakologisch wirksame Pflanzen”. Frau Durukan bedauert nur eines in ihrem Leben: daß sie nicht früher mit der Malerei begonnen hat. Ayten Durukan was born in Antalya, Turkey in 1949. Until her pension in 1999 she worked as a pharmacologist . 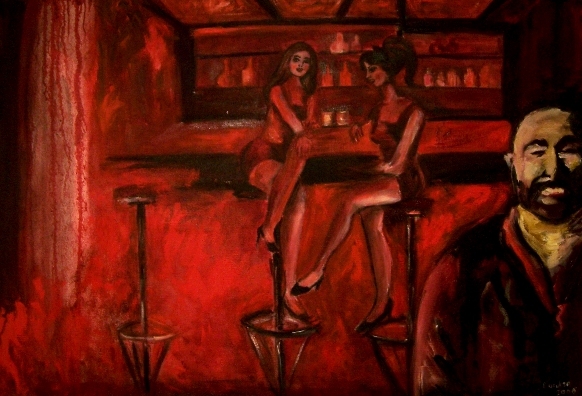 Since 1999 private painting courses and working in her studio followed. 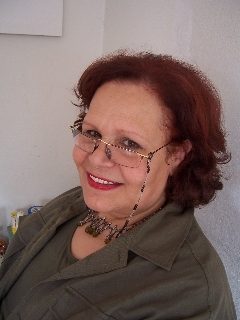 At the moment she doing a solo exhibition on “Anatomy of the Society Through Pharmacological Plants” in 2007 in Antalya. The Exhibition is named “Hypocrisy”.